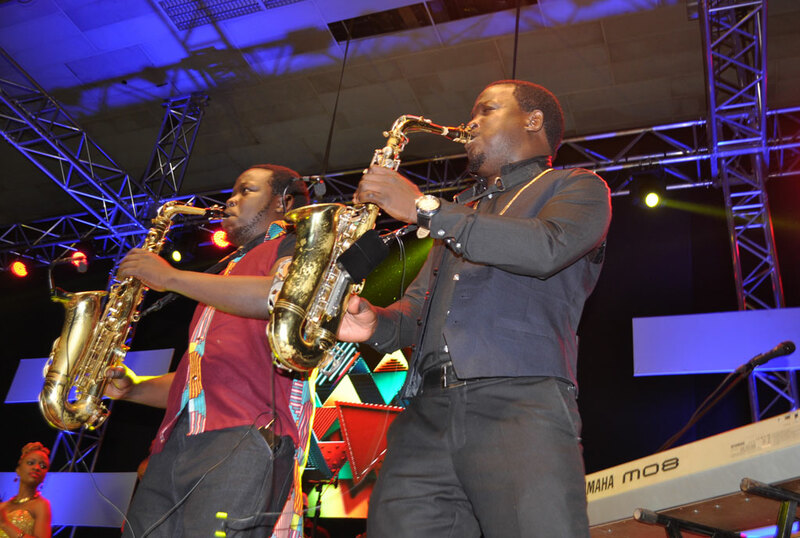 It was pomp and glamour on Sunday at Kampala Serena when Qwela junction held the Qwela Christmas party. By 6pm, fans started flowing in and had a cocktail treat courtesy of Nile Gold. The guests (mostly ladies) were well dressed as they tried to make a fashion statement. 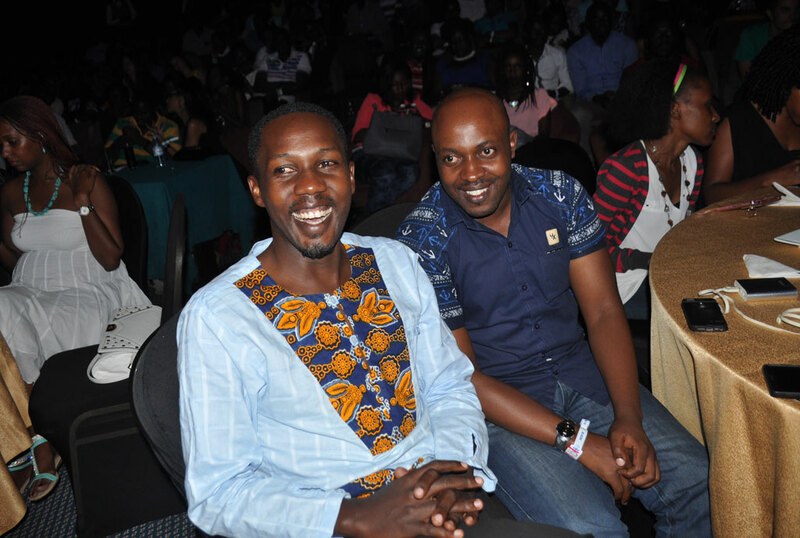 By 7pm, Pablo Kimuli, the host of the evening was up on stage and officially opened the Qwela Christmas party and with his jokes, sent the crowds cracking with laughter. He invited a few solo artistes on the stage that finally ushered in the long awaited Qwela team that was welcomed with shouts and cheers from the crowd. Among the performers were Ritah Sabiiti, Sandra Suubi, Kimera, Solome Basuuta, Kenneth Mugabi and Happy K.
The Qwela team sung beautiful Christmas hymns that cheered up the crowd prompting them to sing along. The organisers of the event that included the house of DJs and Fenon Events informed their audience that this particular Qwela junction was organised with intent of bringing Christmas nearer to Ugandans. 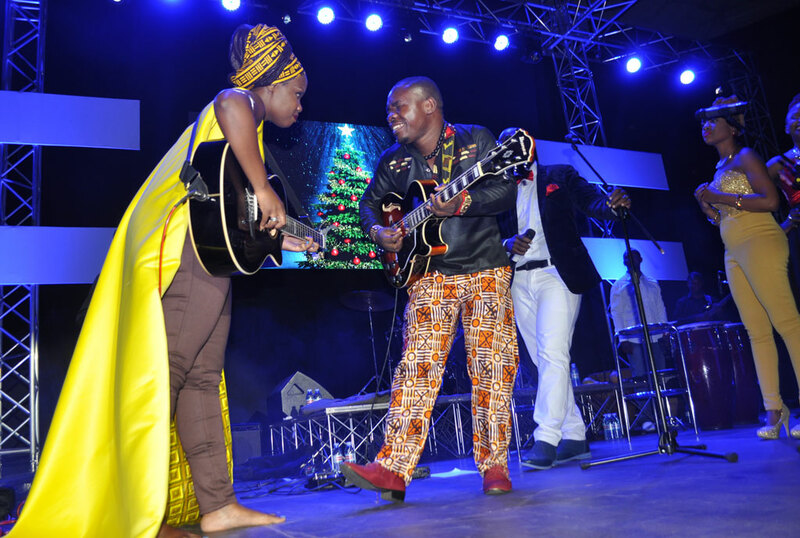 “We want to bring Christmas closer to you especially those of you who have never got the opportunity of moving out of Uganda, we want Christmas to cease from being a fairy tale that you watch in the movies to a reality,” noted one of the organisers. From the way fans sang along, the interchanging of songs, how the divas introduced each other to the last dance, one could see that show was not just a success because the hall was packed but how the team delivered a quality–packed show that left many yearning for more.